These sessions are for babies age 3 and under. We will have 4 holiday themed "sets" available, and some wardrobe is available as well. All outfits that you see in these images, are available for your use at the studio in a 9-12 month size. I do have some larger sizes available too, or you can bring your own outfits! 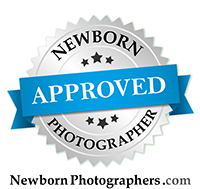 Session fees and packages start at $125.00 Special packages are available to add on! www.lovelybabyphotography.com Please contact us at (760) 271-0725 or stacey@lovelybabyphotography.com for more information or to book your session!